We express our deepest sorrow on the death of Greta Golick, who passed away on Tuesday, 27 November 2018. 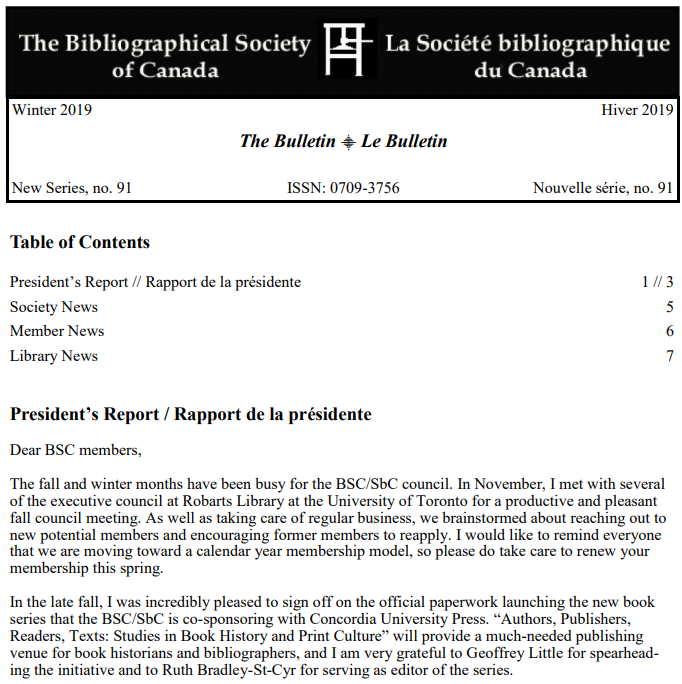 Greta served as Secretary of the Bibliographical Society of Canada (BSC/SbC) from 2007 to 2014. She was a scholar of bookbinding and taught for several years at the Faculty of Information at the University of Toronto where, in 2010, she completed her doctoral dissertation, “Frank Nunan and the Guelph Bookbindery: A Documentary Investigation,” under the direction of Patricia Lockhart Fleming. 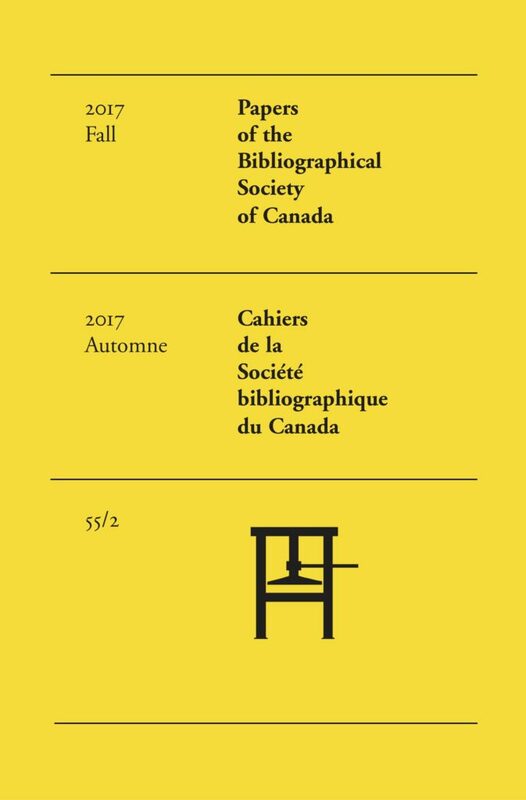 In addition to her steadfast and excellent work for the BSC/SbC, Greta was an active member of the Canadian Bookbinders and Book Artists Guild. Her death is, as one colleague has expressed, “a terrible loss to our community.” Her peers, colleagues, and former students remember Greta for her passionate spirit, her excellence as a scholar, her exemplary commitment to book studies in Canada, and her fresh and deeply engaged approach to teaching the history of the book. Kind, cheerful, wise, supportive, enthusiastic, generous, hard-working, and deeply knowledgeable, Greta was a truly remarkable individual. Our thoughts are with Greta’s family, friends, and colleagues. PBSC is seeking material to commemorate the life and work of Bill Morley and Francess Halpenny, who both died in December 2017 at the respective ages of 97 and 98. Their presence is greatly missed but their contributions to the literary life of Canada, and to their own universities — Queen’s University and the University of Toronto — will long be remembered. PBSC is seeking submissions for its double Spring/Fall 2018 issue. Submissions may take the form of an academic article (5000 to 9000 words) or note (under 5000 words).